Where Will Jake End Up in the NBA Draft? 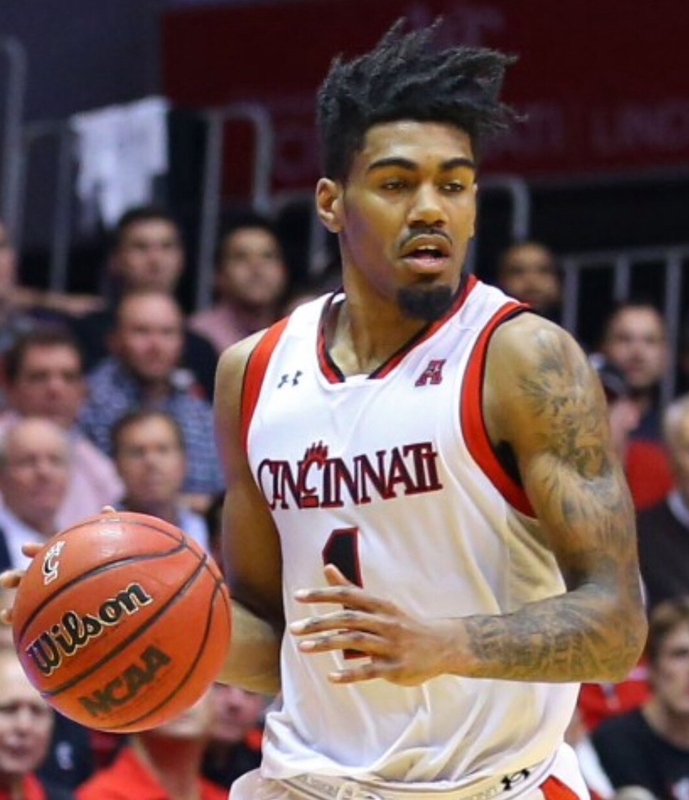 Jacob Evans III left plenty of awesome memories for UC fans over the past three years but after his JR season JEIII forewent his senior season to make his lifelong dream of playing in the NBA a reality. Who can blame him? He has the size to play and guard multiple positions at the NBA level and the mentality to score at will as well. The one phrase you’ll hear around Jake is “3 and D” which he can absolutely be in the NBA but don’t forget in his Jr season at UC he averaged 13, 4.7, 3.1. and 1.3 steals. He saved the season at Temple early in the season and took over in Wichita in March to save the top seed for the Bearcats. I’ve seen a lot of pre draft predictions for this year with Evans landing all over the place so we at GoBeercats complied a list for you so you don’t have to rome all over the internet trying to find out where this Bearcat product is going to land. 25 to the Los Angeles Lakers – GoBeercats.com – I’ve got to say though I’m not sure if there is a team in the NBA that needs a guard with the size enough to guard up to 3 different positions and the mentality to score, especially when the game is on the line other than the Los Angeles Lakers. 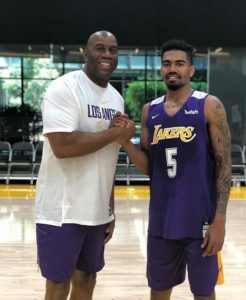 Just last week JEIII worked out for the Lakers and met with team President Magic Johnson. With LA on the brink of putting the pieces together of the next great super team Jake could be a great rookie roll player for PG, Leonard, and Lebron. Never Forget Jacob Evans III carried the Bearcats to a W in Wichita on just one leg! I’d love to buy a new Lakers jersey next week with Evans III on the back but where ever he lands, we’ll support the next Bearcats ambassador to the NBA.